TORONTO, ON – It what promises to be one of the most unique events during the upcoming Ontario Craft Beer Week, Mill Street Brewery is bringing together 10 other breweries along with musicians, sideshow performers, food vendors and more for an evening fittingly called Strange Brew. Co-presented by Mill Street and music events company Young Lions Music Club, Strange Brew will be taking place on Friday June 21st at the Metropolis Living Factory, a 7000 square foot modern furniture factory and event space near Toronto’s up-and-coming Junction neighbourhood. Joining Mill Street will be 10 other Ontario craft breweries – including Beau’s, Bellwoods, Black Oak, Church Key, Great Lakes, Indie Ale House, Junction Craft Brewing, Lake of Bays, Neustadt Springs and Steam Whistle – all of them serving special one-off beers. Food will be provided by some of the city’s top food trucks including Gourmet Gringos, Hogtown Smoke and The Feisty Jack. Entertainment will be provided by the evening’s host, Mysterion the Mind Reader, and his group of sideshow performers, as well as popular cover band Dwayne Gretzky, indie rock group The Golden Dogs, and gypsy-punk collective Jumple. 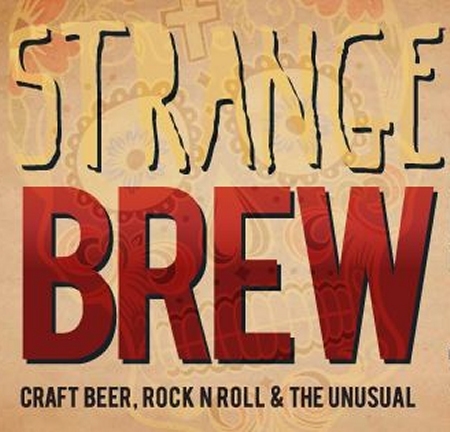 Tickets for Strange Brew are $20, and can be purchased now via the event website.